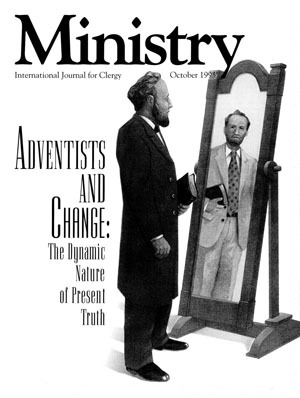 Essential Adventism or historic Adventism? Woodrow Whidden, Ph.D., is associate professor of religion, Andrews University, Berrien Springs, Michigan. In recent years, certain individuals and groups who have re acted strongly to is sues facing the Seventh-day Adventist Church have used the term historic Adventism to identify their particular understanding of those issues. They imply that their interpretation is the "orthodox" and "traditional" brand of Adventism. 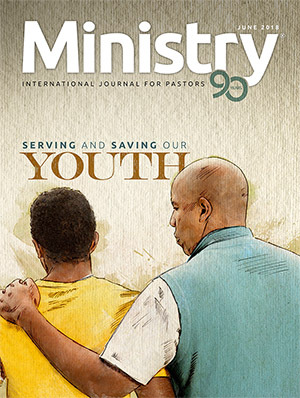 1 The issues in question include the atonement, the humanity of Christ,2 the emphasis on justification by faith, 1888 and its meaning, the Desmond Ford crisis and threats to the sanctuary doctrine, Walter Rea and challenges to the authority and integrity of Ellen White, worship styles, and Adventist lifestyle concerns. The term historic Adventism has be come so loaded and pejorative that we need new terms and a more inclusive theological framework and atmosphere if we are to find some resolution to the present divisive impasse. I would urge that such expressions as historic Adventist, traditional Adventism, and new theology 3 be laid aside as divisive buzzwords and needless red flags that bring neither constructive doctrinal resolution nor accurate historical insight. 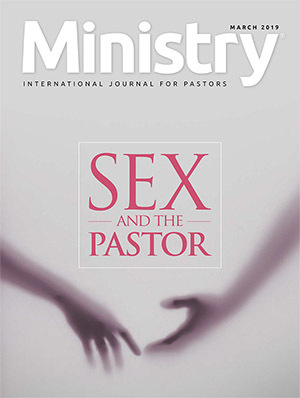 I would suggest instead the following terms: Christian verities, or eternal verities for basic doctrines embraced by Adventists and held by most other Christians,4 essential Adventism for that which is distinctively Adventist, processive Adventism for those issues that are important but still unsettled, and nonessential Adventism 5 for that which is interesting but not central to Adventist self-understanding. In addition to divisive and polemical connotations, there are some "historical" reasons why the term historical Adventism is of questionable value in Adventist theological discussion. One need not go very far back into Adventist history before discovering numerous theological wrecks lying on the Adventist doctrinal highway. They certainly qualify as "historic," but they have not stood the test of time and theological scrutiny.6 The semi-Arianism of many of our prominent pioneers7 is one good example. I have not met an Arian Adventist in my lifetime! Yet Arianism is part of Adventist history and could qualify historically as "historic Adventism"! The same could be said of early understandings of when Sabbath should begin, "systematic benevolence," the personhood of the Holy Spirit, and the "shut door." 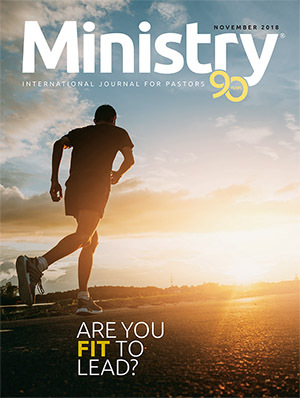 Such issues as the human nature of Christ, the interpretation of 1888, and the meaning of Christian perfection have always had differing interpretations in the Adventist doctrinal tradition. 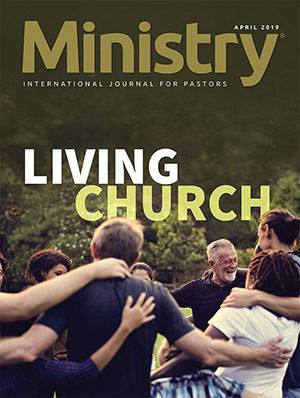 It is becoming clearer to this writer, a self-confessed former "post-Fall perfectionist," that with advancing research the so-called historic Adventists have no monopoly on any orthodox understanding of these issues. I would also submit that the interpretation that holds that the key emphases generated by the 1888 crisis were the post-Fall view of Christ's humanity and the issue of perfection is becoming more suspect with advancing research. 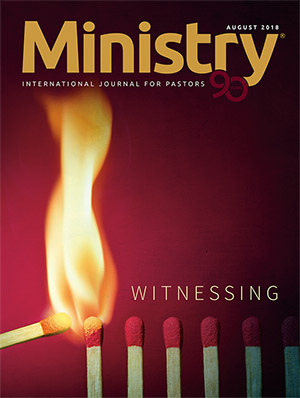 10 While it is true that Jones and Waggoner were strong proponents of the post-Fall view of Christ's humanity and perfection, one searches the 1888 comments of Ellen White in vain for statements that emphasize the humanity of Christ and perfection as major Minneapolis issues.11 To the contrary, 1888 represented a theological crisis and was, in the thinking of Ellen White, primarily a crisis brought on by a misunderstanding of justification by faith and a lack of charity in theological discourse. As mentioned earlier, I am proposing the term essential Adventism12 as a more inclusive, workable term in seeking to resolve what we mean by distinctive Adventism. I am suggesting that the term essential would include doctrines and issues that have (1) achieved wide consensus and (2) given Adventism its distinctive theological and practical flavor, as opposed to what I would call processive issues. 1. Adventism has always taken a rather dim view of creeds, and it seems that the persons who use such expressions as historic Adventism would very much like to see Adventism go a strongly creedal route the implication being that if you don't see it our way, you are just not a sound Adventist and are opening up a way to compromise, sin, and apostasy. Such an attitude does not seem to fit the anticreedal, broader Adventist theological framework. So while we have things to conserve, we also have things to let go of and new things to pick up on. If we get too tight and too specific, we may frustrate the work of the Holy Spirit in bringing forth fresh insights from the Word of God. What should be the Christian and essential framework of Adventist theological discourse? First, the broadly Christian beliefs. Adventism is primarily Christian in the sense of affirming the great verities of the faith. We strongly affirm such doctrines as the full deity of Christ, the Trinity, the personhood of the Holy Spirit, the bodily resurrection of Christ, and the Lord's Supper. 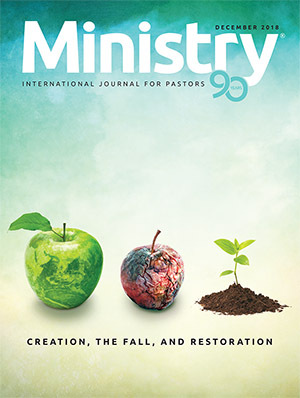 In a more focused way, we are thoroughly Protestant in that we take biblical authority as the "court of last resort" in matters of faith and practice (as opposed to tradition, ecclesiastical authority, and even post-biblical prophets or "revelations") and emphasize justification by faith, not by works, as the basis of salvation. 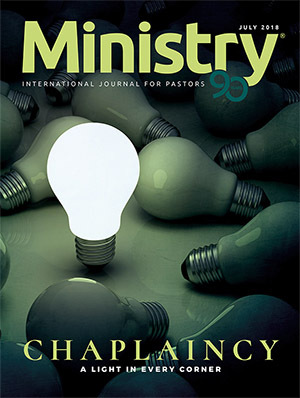 Further, we have appropriated important strands from (1) Wesleyanism/ Arminianism, especially in our form of church governance, God's respect for the integrity of human choice, and an emphasis on the importance of sanctification; (2) "restorationism" with its emphasis on seeking the primitive simplicity of the New Testament church, the building of "the old waste places," re pairing "the breach," and restoring "paths to dwell in" (Isa. 58:12); and (3) the Baptist tradition with its emphasis on immersion baptism and religious freedom. We are thus broadly in agreement with the basic orthodoxy of the Christian tradition and we are thoroughly Protestant. All of this is certainly essential to our Christian self-understanding. Adventism, however, has a more distinctive, essential cast that goes beyond these great Christian and Protestant verities. Before we venture a suggestion as to what those distinctive essentials of Adventism might be, we should first ask, What constitutes the theological essentials of a given tradition? Theological essentials consist of doctrines and practices that a tradition just could not do without and still retain its peculiar identity. Such a tradition might share numerous theological commonalities with other traditions, but these distinctive essentials are what give it its special identity. This distinctiveness is best illustrated by a brief comparison of Adventism with confessional Lutheranism. What gives Adventism its special, distinctive flavor? What are those essentials that if one took them away would leave Adventism theologically emasculated? What are those doctrines that, taken together, have given us our theological identity? 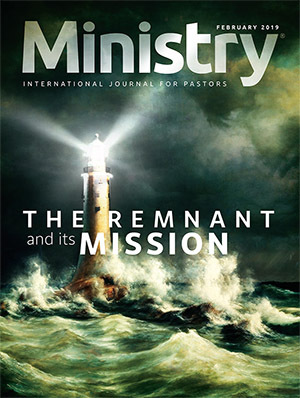 I would suggest the following: the second coming of Jesus as literal, visible, cataclysmic, imminent, posttribulational, and premillennial; the millennium as a distinct period coming be tween the Second Coming and the final executionary judgment of the wicked and the setting up of the everlasting kingdom on earth; the application of historicist, as opposed to preterist and futurist principles of prophetic interpretation (especially in the study of the books of Daniel and Revelation); the eternal and universal authority of the law of God; the seventh-day Sabbath as a moral requirement for New Testament Christians and the eschatological sign of trusting and obedient Christians in the last days; the sanctuary and pre-Advent judgment teaching, with its emphasis on Christ as our high priestly advocate, judge, justifier, and sanctifier; the understanding of human nature, especially as this interpretation points to the importance of physical health, the conditional nature of immortality, and the utter annihilation of the wicked; and the formative 15 theological influence of Ellen White as a messenger of God. These, I would suggest, are the distinctive essentials of Adventism. Are we being too reductionistic in our enumeration of essential Adventism? I would contend that these are the truths that have stood the test of time. I would further suggest that Ellen White supported these listed essentials, and advocated a rather limited listing of the essentials. I find Ellen White's position on land marks instructive, particularly while she was facing charges that the emphasis on justification by faith was endangering the pillars and the landmarks. We would do well to remind ourselves that when we get into disagreements about righteousness by faith, we need to be cautious about questioning the Adventist credentials of those who might have a differing perspective. 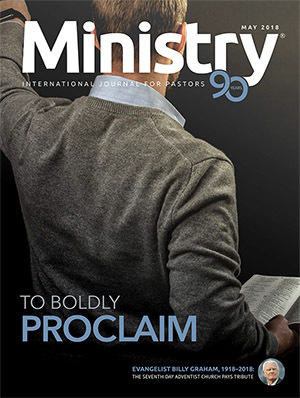 Taken as a whole, these essentials have given Adventism a clearly identifiable theological cast that is uniquely our own. 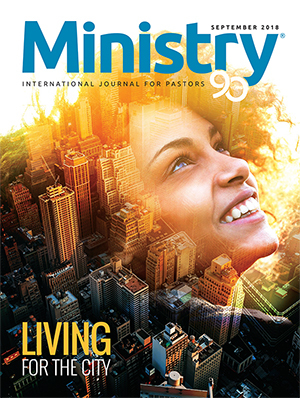 Some of these essentials we share with others, and some of them are quite uniquely our own, but taken together they make Seventh-day Adventism essentially Adventist! Is it asking too much to agree that all who affirm these essentials are Adventist, despite differing perspectives on is sues related to righteousness by faith? Within such a framework, we have plenty of room to move and develop theologically without having to engage in greatly divisive doctrinal jousts. If one affirms the essentials, there ought to be room enough to discuss, even vigorously dialogue about, controverted processive issues. First, we need to cultivate a prayerful, humble, teachable spirit, and be willing to give up a cherished opinion, esteeming others better than oneself, and having a spirit of openness to God's unfolding light. Second, we should listen carefully and charitably to what our partners in theological dialogue are saying. Third, we should state any position clearly but humbly, seeking to give partners in dialogue every respect for their position. And last, as partners in theological dialogue we should seek agreement on as many points as possible. Seek the common ground before moving into controverted quicksand. What I am suggesting in the following paragraphs is a preliminary theological agenda for earnest dialogue aimed at reconciling some of the divisions within Adventism. It is not meant to be an exhaustive or final treatment of the issues addressed. Christology: Essential Adventists of every hue should exalt the humanity of Jesus and His profound identity with fallen sinners. Those who call themselves historic Adventists are correct in giving this aspect of Christology an emphasis it so richly deserves. Both the Bible and Ellen White give this theme due attention, attention that has often been sadly lacking in the Christian tradition. We can heartily affirm that Jesus has an identity with His fallen children and has certainly experienced our infirmities. Could it be that the view of sin espoused by the post-Fall advocates is too superficial? Is not sin more than just bad actions and poor choices? Isn't it also the fruit of a profoundly deranged nature steeped in a "selfishness [that] is in wrought in our very being" and that has come to us as an inheritance"? 19 If Jesus were just like us, are we prepared to declare that He was "naturally depraved," "born with inherent propensities of disobedience," expressions Ellen White applies to sinners but never to Jesus? 20 Again I ask, Could Jesus really be just like us in nature and still be our sinless substitute? What of the epochal Baker letter? Are we really to believe that when Ellen White says that we are never to "leave the slightest impression upon human minds that a taint of, or inclination to, corruption rested upon Christ," 21 she means only that He did not give in to temptation? What does she mean when she admonishes "every human being" to "be warned from the ground of making Christ altogether human, such an one as ourselves; for it cannot be"? 22 Has there not been a tendency to ignore, even twist, the obvious meaning of contrary evidence on Christ's nature from the writings of Ellen White? In the light of contrary evidence, from the Bible and the writings of Ellen White, that appears problematic to the post-Fall position, would it be possible for one to hold a post-Fall view as a matter of processive opinion and not absolutely essential orthodoxy? God and heaven alone are infallible. Those who think that they will never have to give up a cherished view, never have occasion to change an opinion, will be disappointed. As long as we hold to our own ideas and opinions with determined persistency, we cannot have the unity for which Christ prayed.23 Nobody is coercing anyone to give up any views, but could they be held as sincere personal opinion without their being divisive and judgmental? Would it be enough to profess the following? Jesus was sufficiently like us in nature (a deep identity) to really be able to identify with our struggles in temptation and give us every victory needed to make it through to the kingdom, and yet He was also sufficiently unlike us (a profound uniqueness) to be able to be sinless in nature and performance and be our fully satisfactory, sinless substitute. Perfection: Here also we need to commend those Adventists who with tenacity hold on to the standard of total victory over sin. Sin is never innocent and must always be taken seriously. 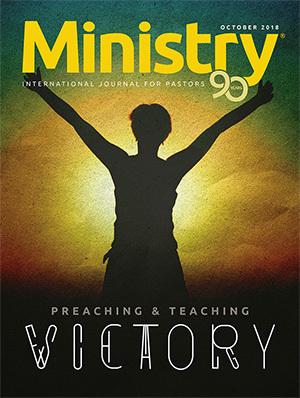 Both the Bible and the writings of Ellen White say a great deal about victory over sin. We can never excuse or tolerate sin. However, what does Ellen White mean by "perfection"? What do we mean by "totally victorious" perfection this side of glorification? Just how perfect is perfect in realistic terms? Let's assume for a moment that the faithful can reach some state of sinless perfection this side of glorification. Would they ever have an awareness of it? What about the time of trouble? Do we find in Ellen White any hint that the saints will be conscious of a sinless perfection after the close of probation? The saints, of course, will not be conscious of any unconfessed sins, but they will still have the burden of a sinful nature and have to have further "earthliness" consumed. I would go so far as to acknowledge that it is quite probable that the saints will be "sinless" in some attitudinal and behavioristic sense during this time, but what does that have to do with us now? Is anyone willing to claim such a sinless state today? Would it not be better to take the following stance? Could it be that in sincere zeal to uphold victory over sin and avoid cheap grace, and easy-come-easy-go attitudes to sinning, one can unwittingly down grade the priority of forgiveness and the constant acceptance of penitent sinners by the continuously applied merits of Jesus' intercession? Isn't perfection primarily an attitude rather than a performance? If my attitude to Jesus, sin, fellow Christians, the lost, and Christian duty is right, doesn't it then seem likely that my performance will be headed in the right direction and that Jesus can then make me perfect by making up for my "unavoidable deficiencies"? Isn't the key to all victory over sin the acceptance of Christ's grace for us? Isn't it that grace the unmerited favor that frees us from guilt and uncertainty and enables us to walk in the light of His favor and the power of His Spirit? Is perfection just constant victory over known sin? Perfection is at least this, but are we not all humbled to know that it is often not our known defects that are the most shocking, but the ones that we do not, cannot, or will not know in our Christian immaturity? Does God reveal all our defects to us at once? I think not! If He did, it would destroy us. Does He not, however, cover all our defects if we faithfully follow His leadings day by day? What about the following definition for Christian perfection? 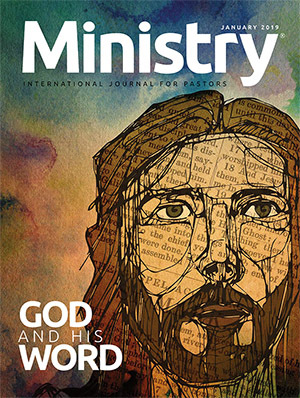 Perfection is to follow Jesus, trust His merits, and be transformed by His empowering Spirit; to be inspired by His example and do the known duties that lie nearest at hand, not excusing or cherishing sin; and to be open to God's providence in the conviction of sin, new duties, and joyous service and witness to others. Is this a view of perfection that takes victory over sin seriously enough and avoids a cheap-grace attitude? I have not attempted to be thorough, or comprehensive, in addressing these issues, but this is the type of dialogue that could help us out of the present impasse. Could we lay aside our pejorative red-flag expressions, seek the common ground of essential Adventism, and proceed with humility, charity, and honesty to a dialogue on processive Adventism? One of my deepest longings is that those who call themselves historic Adventists will answer my appeal affirmatively and that believers who do not share their particular burdens will be open, charitable, accepting, and patient in Christian respect. In the grace of Jesus this impasse can be broken and the Advent movement can more efficiently and unitedly get on with its mission! (Eatonville, WA: Hope International) vol. 7, No. single instance where she employed these terms. 4 Questions on Doctrine, pp. 21-25.
limitation and its relative lack of importance. Pacific Press Pub. Assn., 1979), especially pp. Adventist Arianism in A. V. Wallenkampf and W.
(Washington, D.C.: Review and Herald Pub. 10 I would urge a careful reading of Knight, pp. Ellen G. White Estate, 1987). terms. See his discussion in Light Bearers, pp. Editors (Nashville: Southern Pub. Assn., 1946),p.
37. Also see Schwarz, pp. 393, 394. 14 See Donald W. Dayton and Robert K.
nessee Press, 1991), pp. 222-244.
counsels and theological insights have pointed the way and confirmed biblical truth. York: Peter Lang Pub., 1984), pp. 419, 420. D.C.: Review and Herald Pub. Assn., 1967), p.
Pub. Assn., 1980), vol. 5, p. 1128. 21 Questions on Doctrine, p. 652. 23 Ellen White, Counsels to Writers and Editors, p.
26 Ibid., book I, p. 179.